The Jazz Diva’s back with a new album and tour, and she’s gracing our shores. It’s been six years since the nine-time Grammy winner has been here, and we’re sure fans have been eagerly awaiting her return. Norah’s first album ‘Come Away with Me’ in 2002, won five 5 Grammy’s and sold 20 million albums worldwide and even went diamond (yes diamond, it’s when you sell 10 million in US), and a cool million in Australia. 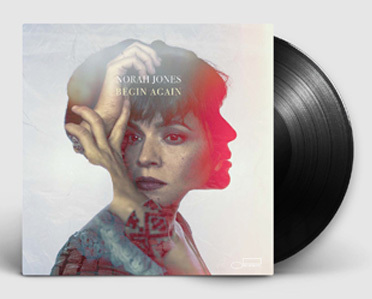 With the tour getting great reviews, Norah plays material from her new album ‘Begin Again’ which is more a collection of one-off singles she’s released over the past year. From all reports Norah does some of her classics as well as Don’t Know Why. But you know you’ve really made it when you’ve appeared in Sesame Street with Elmo doing Don’t Know ‘Y’, (2004). So if you don’t want to miss out on seeing the soul cool Norah Jones, she’ll playing her last concert in Australia at the Federation Concert Hall in Hobart, Tasmania on Wednesday the 17th April. Buy tickets here if not already sold out. Now if there was any car that was made for Jessica Rabbit this would be it. This curvaceous stunner is a beautifully restored 1940 BMW 328 Roadster (one of the premiere European sports of the 30’s) and has curves in all the right places. Completely dismantled in the 1950’s and then reunited in the 90’s with its OG bod, chassis and engine, and finished in the early 2000’s, this is pure art on wheels. It was auctioned in 2017 (we think bidding started around the 1.5M mark) and who ever was the lucky buyer, we are extremely jealous and will except a lift anytime. Check out some of the cars that did feature in Jessica’s 1988 movie Who Framed Roger Rabbit. Ever wanted to know what a Lamborghini looks like when it’s blown up? Well Lamborghini Disintegrating X is pretty much it. This amazing print is by renowned Swiss photographer Fabian Oefner and took nearly two years complete. The 1972 Lamborghini Miura SV looks like its exploded but its 1,500 separate images. put together to create this incredible illusion that shows all of the inner parts of this Italian beauty. The Disintegrating X print is available in two limited edition sizes 140x70cm and 230x115cm, so get in quick and stick it in your man cave. This haute-couture beauty by Mercedes is breathtaking. At nearly 6 metres this electric (all-wheel drive) car optimizes the luxury focused brand of Maybach. With 24-inch alloy wheels, rose gold-painted centre lock and art-deco inspired look, we can not wait for the Revelation of Luxury: Vision Mercedes-Maybach 6 Cabriolet. No it’s no the new album cover for U2’s 1987 The Joshua Tree, it’s a house made of shipping contains in the Californian desert. With it’s shape representing the famed tree, it was designed by James Whitaker of Whitaker Studios for a studio producer and his wife. While we could whittle out all its specs and how super good it is, why not take a look for yourself here and a 360 view here, you wont be disappointed. So in answer to U2’s song on the album “I Still Haven’t Found What I’m Looking For?”…well we have. What better way to celebrate 150 years of Heinz than for them to cater for the elite with Ketchup Caviar, yep that’s right. We’ll its not really caviar its tiny pearls of ketchup, that look just like the fish egg delicacy. But if you want to get your cultured palette on these delicious red balls, you’d better be quick, they’re only limited to 150 jars. So for all you Melbourne FC supporters you’ll now be able to have your pie and eat it too, with this new condiment, not like how the mere morsels do. Your probably thinking that’s not by Audemars Piguet, it doesn’t look like their trademark Royal Oak, but it is an AP. Probably there most ambitious endeavour ever by this giant of watchmakers with the release of their new family, CODE 11.59. Launched at this years salon international de la haute horlogerie, this 41mm round case (in red or white gold) definitely is a departure from the traditional Octagon (which was first unveiled in 1917) and the 1970 Royal Oak. But don’t fear the AP DNA hasn’t disappeared, the round case is embedded within an octagonal middle case, phew! There are six models in the new CODE 11.59 range which is a limited edition of 2000. And what’s with the name 11:59? Well it refers to the last minute of the day before the dawn of a new one. So you’ve got an urgent discreet overseas trip, and need to take some cash, lets say $1,000,000, well here’s the bag for you, The 1M Hauly Hiest. The bag is ultra light weight and designed to comfortable carry of up to US$ 1 Million bank notes. Acting as a Faraday Cage it minimises the risk of radio frequency tracking, and also shields laptops, phones, GPS from tracking. Made from stronger-than-kevlar and waterproof Dyneema composite fabric and comes in silver and black, so for $500 US pick yourself up one now for that peace of mind. So you want to impress that someone special in your life for Christmas, well look no further than the limited edition Chanel No 5. Now in ephemeral red (Gabrielle Chanel’s favourite colour) it’s still iconic in everyway, from the traditional shaped bottle (now Baccarat crystal) to the minimalist labelling. This is a beautiful twist on a true classic, and offers a new definition of femininity. “An abstract floral bouquet composed around May Rose and Jasmine, brightened with citrus top notes. Aldehydes create a unique presence, while the smooth touch of Bourbon Vanilla leaves an incredibly sensual trail.”. How else do you celebrate a 70th anniversary? Why not make a Gold Porsche. And that’s what they did, with the “Classic Project Gold” to mark the milestone of making Porsche sports cars. With golden yellow metallic paint this is the last 911 Turbo with an air-cooled engine last built 20 years ago. The 911 Turbo is based on an original bodyshell, using genuine parts and the black wheels are highlighted by Golden Yellow design accents and took over a year and a half to build (we’re losing count of how times we’ve mentioned the word Gold), oh well who cares its a Gold Porsche an we love Spandau Ballet “Gold always believe in your soul” . So you thought that you everything about Rolex’s, well think again. The world most famous brand of wristwatch now has and equally exquisite limited edition book The Impossible Collection, published by Assouline ($1160 AUD), which will give you a deeper insight it this icon. Starting from its founder Hans Wilsdorf in 1905 and his mission to produce the first wristwatch, for it to be the first to receive a Swiss Certificate of Chronometric Precision and the first waterproof one. Covering the rich history of the brand from the model worn by Sir Edmond Hillary’s to the summit of Mount Everest to the one worn by Australian George Lazenby in James Bond’s On Her Majesty’s Secret Service. It’s filled with amazing photographs (even of some never before seen in print) and to top it off comes in a linen clamshell presentation case. That’s right…Who else could get away with this except Rihanna. Sporting this amazing nearly incognito outfit for the last night at this years Coachella festival. RiRi wore a printed knit Gucci balaclava, amazing opulent chandelier baubles and to top it off lashes and lids dripping in gems, you can check it out in all its splendour here. Also see what the Caribbean Queen wore on Day 1 and Day 2, all we can say is Take A Bow. New York based artist richierange, Ceeze and RelevantCustoms have collaborated to produce these “Off-Louis” special edition Louis Vuitton Air Jordan 1 Sneakers. These shoes were to celebrate Virgil Abloh as menswear designer at LV and bare similar traits to the one’s he did. Virgil is also founder and CEO of Milan-based Off-White. Not only is David Beckham a great footballer, one of the sexiest men alive, married to a style icon Posh Spice but he also a avid watch collector. He’s a brand ambassador for Breitling and Bentley watches, but he also owns this beauty a Jacob & Co Global 3 watch, which is also a favourite brand of Victoria’s. This stunner is black and rose gold with each of the 4 circles displaying different times for where ever David may be round the world and the fifth for normal time and what watch for Becks wouldn’t be complete without an alligator skin strap. @jacobandco. If you see one documentary this year, McQueen is unmissable! Here are some interesting facts: McQueen was a huge dog lover and left his dogs £50,000 in his will, he had a Bull Terrier called Juice. Kate Middleton wore a Alexander McQueen dress at her royal wedding. His muse Annabelle Neilson died this year at the age of 49 from a heart attack. In this very exclusive collection there will be only 200 of each t-shirt design and a 100 of the sweatshirt design, each individually numbered. Also Gucci has made Monreal’s artwork interactive for customers at selected stores around the world where it will be on display as sticker artwork, so you’ll be able to connect to a microsite through the Gucci app and allow a 360-degree panoramas of his work, and just to making it even cooler there will be chairs and mannequins in the store windows admiring his work as they would in a gallery or cinema. Gucci has put the G in Genius once again.